Self employed. Love to travel, love adventure and love Hawaii. I loved the location as it is right on the Ocean and close to everything!!! Just sitting on the lanai and watching the sunset, and the whales and hearing the sounds of the waves...is just too relaxing. My girlfriend and I loved this condo. The location was incredible. It is literally RIGHT on the ocean, well not "literally" haha. It was so nice to hear the sounds of the waves and watch the sunset from the Lanai. The condo has recently been renovated so the kitchen and bathrooms were all brand new with new granite counter tops, new shower and tub, etc. The condo was completely stocked and very comfortable. We will be back again! The owner was also friendly and very responsive. Closets with construction supplies and light switches that don't work. Most of all the owner is very difficult to work with and will not take any responsibility for the condition of the unit. Very limited contact and even incorrect information on the key lock box. Thank goodness housekeepers were still there to let us in and give us the correct code. Very shoddy and not kept up. At the very least I expect a clean unit and coffee filters!! Do not rent this unit!!!!! My husband and I loved our time at this beautiful absolute oceanfront condo! The location was perfect! The condo itself was very nice. We liked the floorplan the furniture and the beds were comfy! We also enjoyed all the extras the owner provided. The owner was kind and very helpful! 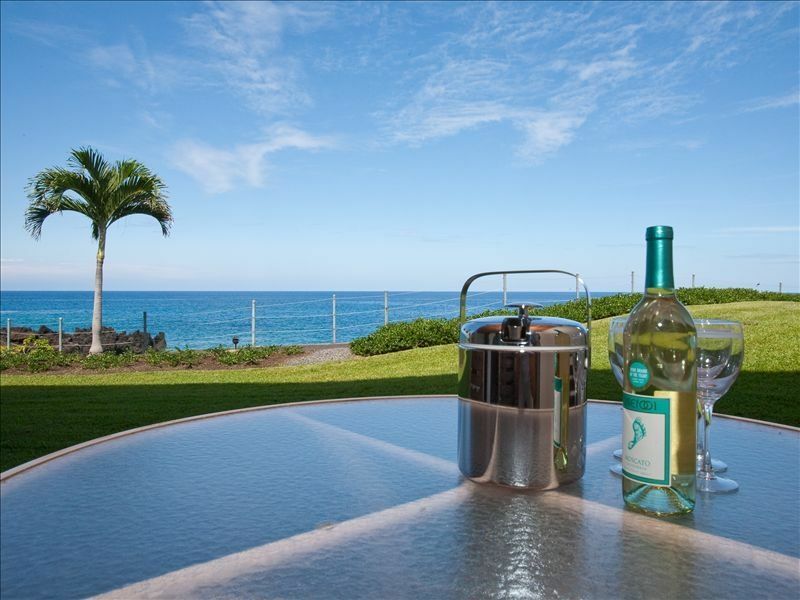 We were looking for absolute oceanfront and sunset views from the lanai! This couldn't be more absolute oceanfront! We loved it and spent most of our time relaxing on the lanai. We enjoyed the condo and its location. It was in walking distance to shopping and dining as well so we didn't even drive much! This is a great condo, you can’t get any closer to the ocean - you’ll be lulled by the waves day in and day out. This is also a prime sunset location; you can watch the sunset right from your lanai! The condo comes fully equipped and has everything you need, including a full washer and dryer. Also included is cable tv, wi fi and free reserved parking.